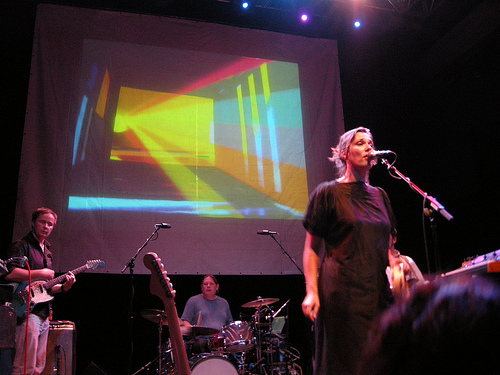 Stereolab is on tour to promote their August 2008 release Chemical Chords and the band is currently on a three-night run of shows at Irving Plaza. Last night’s performance was the opening night and showed no uncertainty or trepidation as early nights often do. These eighteen-year veterans worked through old and new material with grace and confidence — the setlist included only four songs from Chemical Chords. On a humorous note, the band performed “Ping Pong”, although they did not dedicate it to Meghan McCain. We recorded this set with the gracious permission of Stereolab manager Martin Pike and we were able to set up in the perfect location in this venue and utilized our best equipment. We are extremely pleased with the quality of this recording. Enjoy! Tickets are still available for the Saturday night (Oct 4) concert by Stereolab at Irving Plaza. Atlas Sound was also recorded and will be posted in the next few days. If you email nyctaper for access to this recording, we expect that you will PLEASE SUPPORT Stereolab, visit their website, visit their MySpace page, and and purchase their Official Releases, including the new release Chemical Chords directly from the Duophonic Store [HERE]. I should mention that Bradford Cox (Atlas Sound / Deerhunter) did come out and play Laetitia’s keyboard for the last five minutes or so of “Jenny”. Laetitia thanks Bradford at the end. Awesome! Looking forward to Atlas Sound too. I went to the Oct 3rd show, it was great! is that picture from dc? did stereolab allow taping? i taped the show in dc but had to stealth because there were signs up that said no taping. Yes, that photo is from DC. 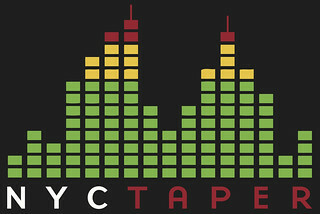 This recording was posted on nyctaper before the photographers from the NYC show even got their shots online! Taping was permitted at this show after a discussion between Irving security and Martin, Stereolab’s manager. Superb recording and performance. Thank you and the band!